REC’s What do you do? When we started on this journey of sustainable renovation one of the first things we did was to replace the electricity hungry hot water system with a Siddons heat pump system which has cut our hot water costs by a large amount. We received a $1000 rebate from the Federal Government and we had 30 RECS (Renewable Energy Certificates) that we sold back to our supplier. At that time we had little understanding of what REC’s or how they worked. The next thing that had REC’s attached was the 1kw solar system that had 18 REC’s attached. Yet again we sold those to the supplier although by this time, thanks to articles in Renew magazine, we did have a greater understanding. The basics seem to be that when you sell your REC’s what you are actually selling is the renewable energy that your system is creating. Companies can buy these REC’s to keep their committment to the Mandatory Renewable Energy Target. If you keep the REC’s you are adding to the total of renewable energy available in the world as the companies have to find the renewable energy elsewhere. For a good, clear explanation here are the links to the articles in RENEW Magazine. This magazine is put out by the Alternative Energy Association and is a great source of information. 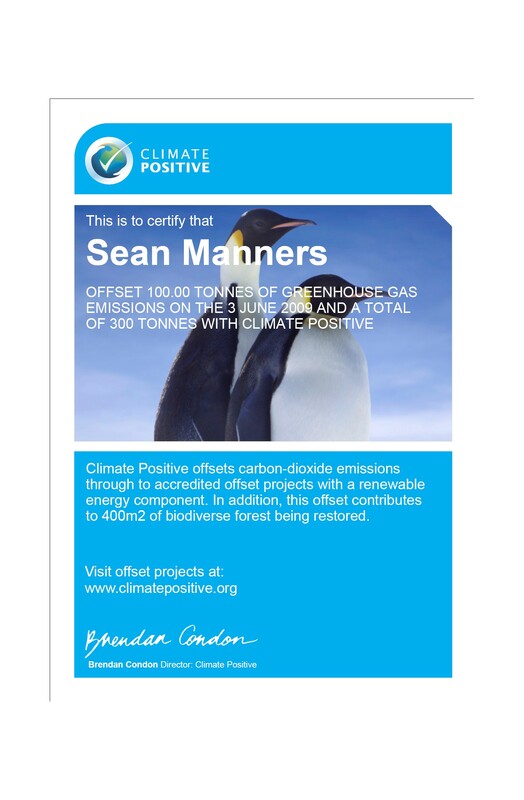 going_carbon_neutral and recs .
. This was mainly because they put money into renewable energy projects around the world but also because they put a certain amount back into reforestation according to what you put into the scheme as an addition. They are also a not for profit organisation. The calculation started at 30 REC’s for hot water plus 18 RC’s for solar euals 48 REC’s which at the time were worth approximately $40.00 each so 48 x $40.00 equals $1920.00. It was decided to round it up to $2500 to include our vehicles etc. There are calculators available to help you work out your own carbon footprint on the Climat Positive website. 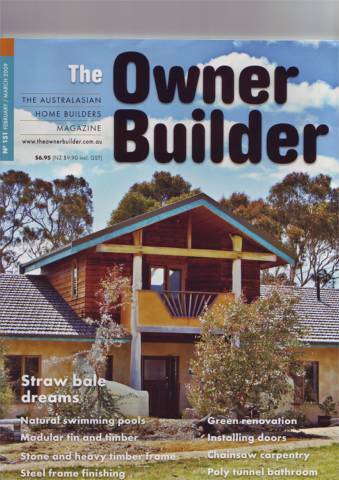 In November last year we made contact with Lynda from The Owner Builder magazine explaining what we were aiming to do. She thought it would be a good idea if TOB followed our journey for a few issues. We have had some good feedback from the exposure in the first issue February/March 2009 and are looking forward to the next one.